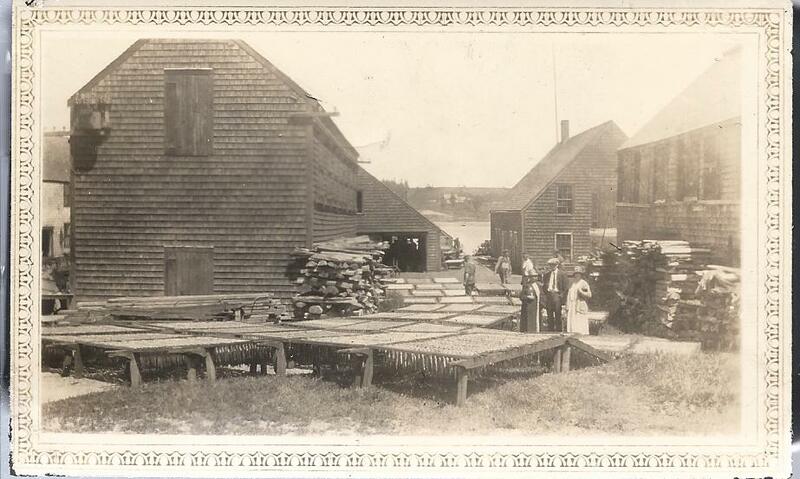 Interesting vintage photograph, approximately 4-1/2" x 2-3/4", of a scene showing the process of stringing herring for smoking, at Lubec, Maine. 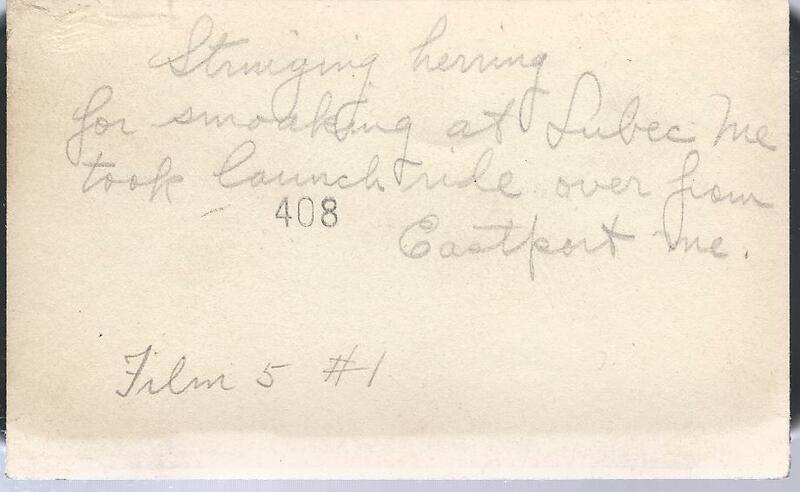 The photograph was taken by someone who had taken the launch from nearby Eastport to Lubec. To see more photographs and history of the herring and sardine industry, visit the websites of the Border Historical Society, the Maine Memory Network or the Maine and Maritime Genealogy network.